Lake Union is a fresh water lake that sits between Lake Washington and Puget Sound. On the north shore of Lake Union is Gasworks Park which provides a fantastic view of downtown Seattle which is directly opposite on the other side of the lake. I guess the thing that Lake Union is most famous for, is that this is where Sleepless in Seattle was filmed. In fact the house boat that the male lead Sam Baldwin (Tom Hanks) lived in was on Lake Washington. When you visit Seattle you can go on the “Duck Tours” which are amphibious World War II vehicles that take you round Seattle showing you all the local sites and end up going into Lake Union. They actually take you past the house boats and tell you that after the film these homes became supper popular. One reason being they don’t pay property tax (as they are classed as boats). Apparently the city of Seattle was concerned they were losing money so now there is a limit on the number of house boats on the lake. Today’s picture was taken from Gasworks Park right by the waters edge. There was this small wall that had graffiti on it – something you don’t see much around Seattle. 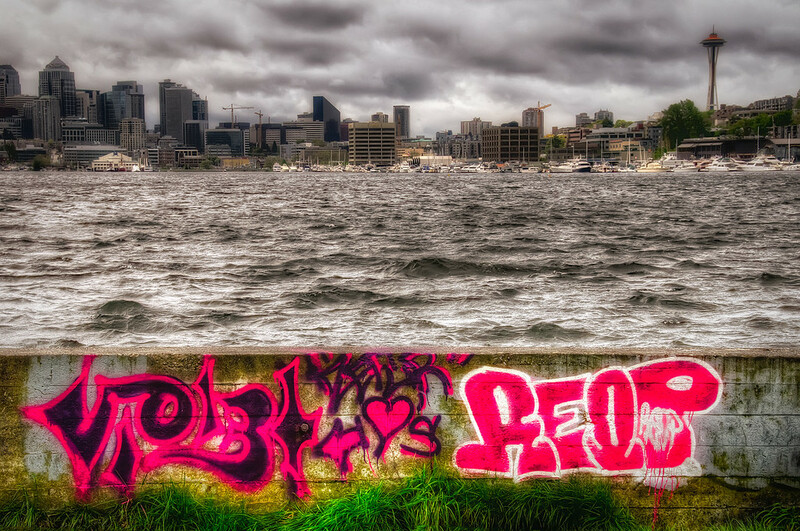 Anyway I thought it looked cool with the painted wall in the bottom of the picture, the choppy water in the center and the Seattle skyline at the top. 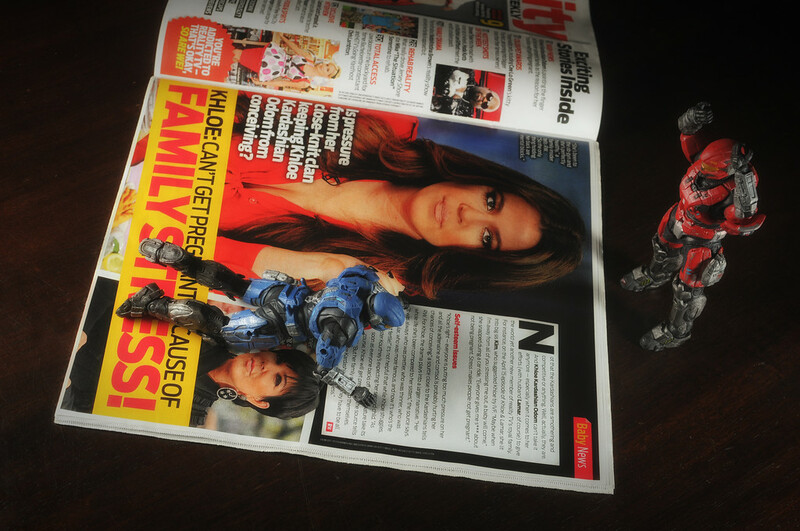 Today Carter was caught enjoying his secret passion – reading “Reality Weekly”.